In this article we explain How to use Apple Pay on iPhone so that you can use your iPhone to pay for things using your bank debit or credit card. so that follow step by step guide. You’ll need a compatible iPhone running the latest version of iOS (find out about the latest version of iOS here). As long as your bank is offering Apple Pay you will be able to add your credit or debit cards to use with Apple Pay. Then it will Set up Apple Pay for that card. Note: The verification stage doesn’t necessarily have to happen at the same time that you added the card: you can come back later and verify a card that added a card earlier. Just go to Settings > Wallet & Apple Pay, or open Wallet again. 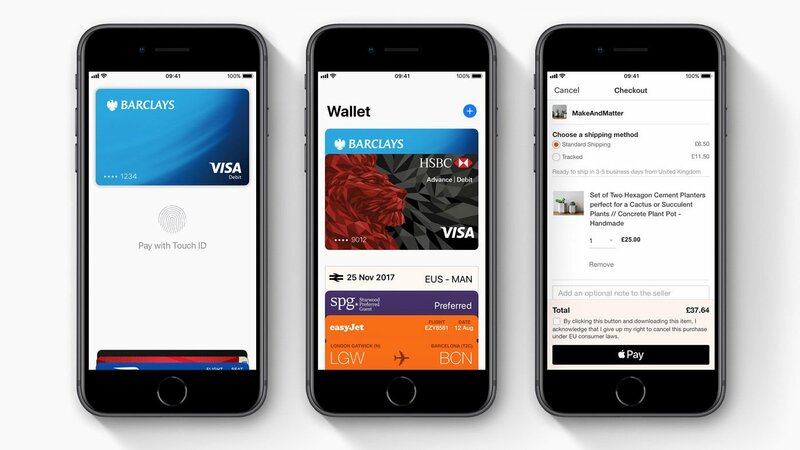 Note: You don’t even need to wake up your iPhone or launch Wallet to use Apple Pay: your phone wakes up as soon as it gets in range of a terminal and initiates the payment process. Double tap the Side button (which is no longer referred to as a power button). If you’re using Apple Pay online or in an app on your iPhone X the device already knows it’s you, but you still need to double-press the side button to confirm a transaction. For example, if you are purchasing an app in the App Store you need to press the side button twice in order to confirm you wish to buy it. You have 30 seconds to complete the transaction – if you don’t hit this deadline, you’ll have to double-press and authenticate again. You can also change the card that you use as the default, we will explain how below. Apple Pay isn’t appearing on my iPhone. How can I activate it? Some users have reported that the option to add their credit and debit cards for use with Apple Pay isn’t available within the Wallet app or the Settings menu. Don’t worry, though, as this is easily remedied and you’ll be using Apple Pay in no time. To manually activate Apple Pay on your iPhone, you need to head to the Settings app. Once in the Settings app, go to Language & Region, tap on the Region (which should say United Kingdom) and change it to United States. Once changed, simply restart your iPhone. Once your iPhone has restarted, open the Wallet app. From here, you should be able to add your (supported) credit or debit cards to be used with Apple Pay – see above for full instructions. UK law states that if you use your phone while driving you could get six points on your licence and be fined £200. This has lead to questions regarding whether you can use Apple Pay on your phone to pay for your burger at a McDonalds drive-through. According to the GMP Traffic twitter account, as long as your engine is turned off and your handbrake applied it should be ok – if on the other hand you are driving your car through the drive-through while using your phone then you could be penalised, theoretically. At the appropriate point in the transaction, tap the button to use Apple Pay. This will be labelled with ‘Buy with Apple Pay’, or may just have the Apple Pay logo.